La vie est ailleurs! 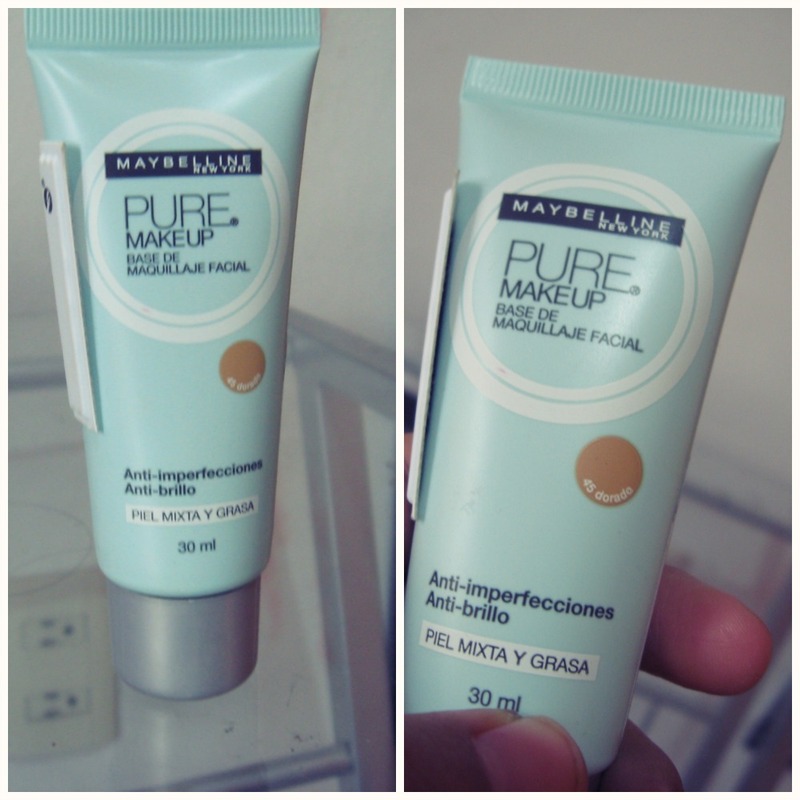 : Maybelline Pure Make Up Foundation. Maybelline Pure Make Up Foundation. Product name: Pure Make Up foundation. Now, I searched around the Maybelline U.S. and U.K. site to see if the product was available other than in México, Argentina and other Latinamerica countries, and nothing... so my guess is that the product is specific for in Latinamerica, I think it is, cause the shades seem a bit more darker than other productos, which is okay cause some girls we have a bit darker skin tone. 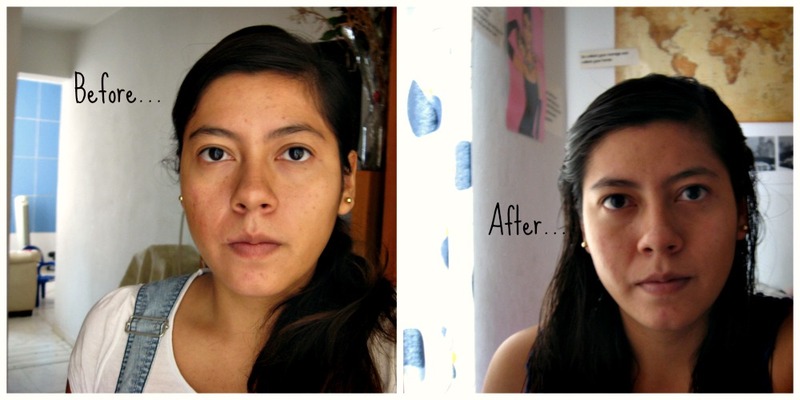 As you can see in the first picture, the product seems lighter than my skin tone, but when I applied it to my face, it adjusted to my skin tone, which is really good, cause with other products my face looks lighter than my neck or arms. Here is a before and after, sorry for the different lightning but damn you sun, anyway you can see how it really covers some imperfections and doesn't make my skin look lighter or darker. Now, the packaging says that the product will absorb the oils produced by your skin, it also says that will help to control brightness, and it says that is appropiate for mixed and oily skin, so I bought it cause my face can be very oily specially during summer, BUT it did not help at all to my skin, it didn't control de brightness, and the worst is that it says "anti-imperfections" and well at least for me it was a lie, when I applied it, not even 1 hour later, my face felt oily, greasy, and when I washed it off, I could see new imperfections in my face. So, let's see, I probably wouldn't recommend it if you have mixed oily skin, maybe it works better with a normal skin, but the thing is that the product states that is appropiate when in reality is not. I liked the fact that the shade actually matches my skin tone, but that's it, I'll definetly not be buying it again. Have you tried this product? and how it worked for you? What product would you recommend me? Hope you're all well, have a good weekend! x.